Adults (and teens ages 16+) 8 week sessions with 2.5 hour class. 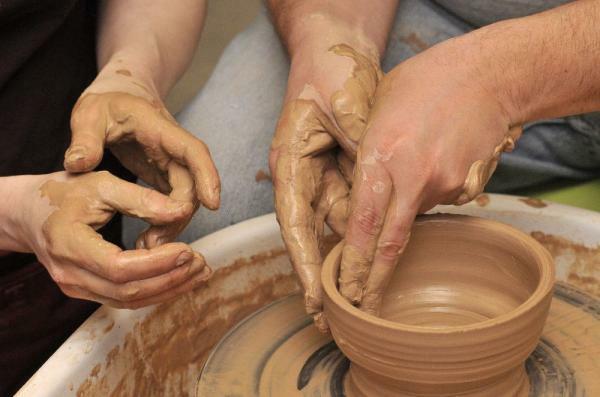 Try the potter’s wheel for the first time or tackle a form you haven’t tried yet. Perhaps you’re still learning to center or you want to throw larger and improve you handles. This is a very accommodating class with lots of demonstrations, individual instruction and opportunities to focus on your specific goals. 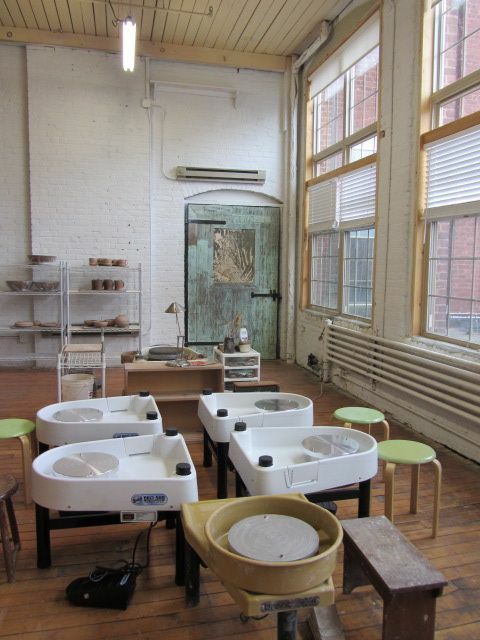 The emphasis of the class will be on functional pottery using high-fired stoneware and glazes. 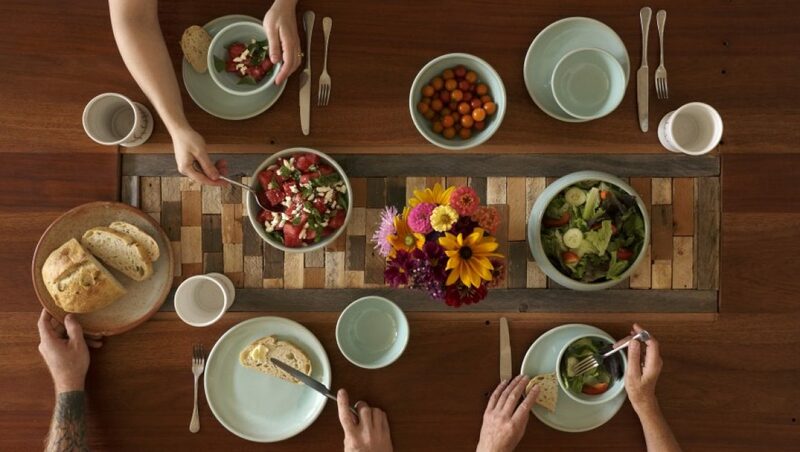 Class session offers time to explore bowls, mugs, plates and other forms based on student’s experience. Beginners are welcome. Take your skills to the next level with more advanced demonstrations to help you gain skills, make sets, try a teapot, and improve handles and lids. Small class size allows for lots of individual attention. *Some large projects may require additional material or firing fees. Tuition is due upon enrollment. Materials fee is due the first day of class and covers 25 lbs. of clay, glazes and kiln firing fees. Students taking regularly scheduled classes may not reschedule missed sessions. 24 hour notice required to cancel any “date night” or private lessons. $75 cancellation fee for less than 24 hour notice. Sessions canceled due to weather may be rescheduled with no fee. Available for two adults to have a fun night out playing with clay and working on the wheel together. Good times guaranteed! Finished pots will be available for pick-up at a later date, or shipping may be arranged. Call or text to schedule 413-824-6506. Friday or Saturday Nights 6:00–8:00 pm. Many prefer 4:00 – 6:00 pm and go to dinner after. Days and times are flexible. *Please note 24 hour cancelation policy. *Some projects may require additional material or firing fees. Check out my YELP reviews for my “Date Night” pottery classes! Working on and off the wheel, we will play with altering thrown pots to create oval, square or other forms. Combine wheel thrown elements with slabs to make vessels, planters, serving pieces, and lidded jars. Handles, knobs, and texture will also be explored. Basic wheel throwing skills required. Students will gain skills and confidence to create more complex forms in their own style. We will use cone 6-10 stoneware. Students should bring packing materials to take home their greenware pieces.